Rep. Jerry Nadler (Democrat-NY) banged his gavel again until Owens stopped speaking saying, “the witness may not refer to the committee member as ‘stupid. '” Owens grandfather, her guest at the hearing, could be seen behind her shaking his head as Rep. Nadler spoke. 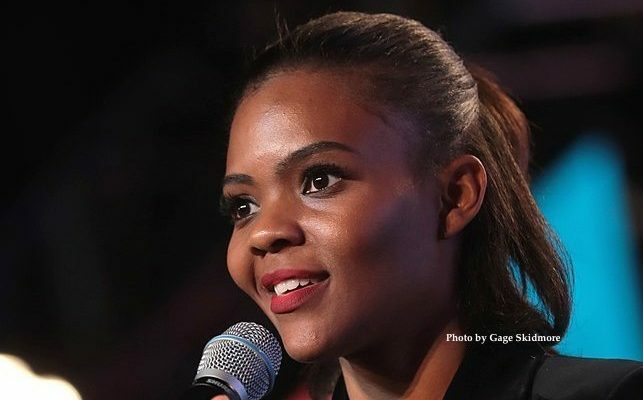 After Rep. Nadler permitted Owens to continue talking, she not only defended her original statement, she clarified the context of the 30-second clip stating this was the same kind of tactic done to President Trump, playing a segment of a recording while twisting the narrative. Owens continued her testimony before the committee clarifying terms like “white nationalism,” while also addressing the Democrat narrative heard every four years ahead of a presidential election. She also referred to her grandfather sitting behind her at the hearing, and of his background growing up with racism. 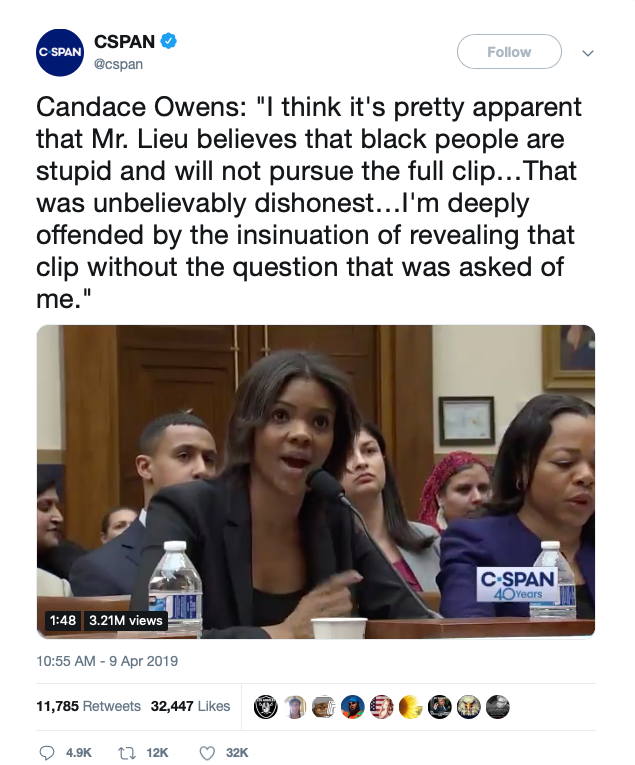 No Comments on "Candace Owens Schools Democrat Reps. Ted Lieu and Jerry Nadler"